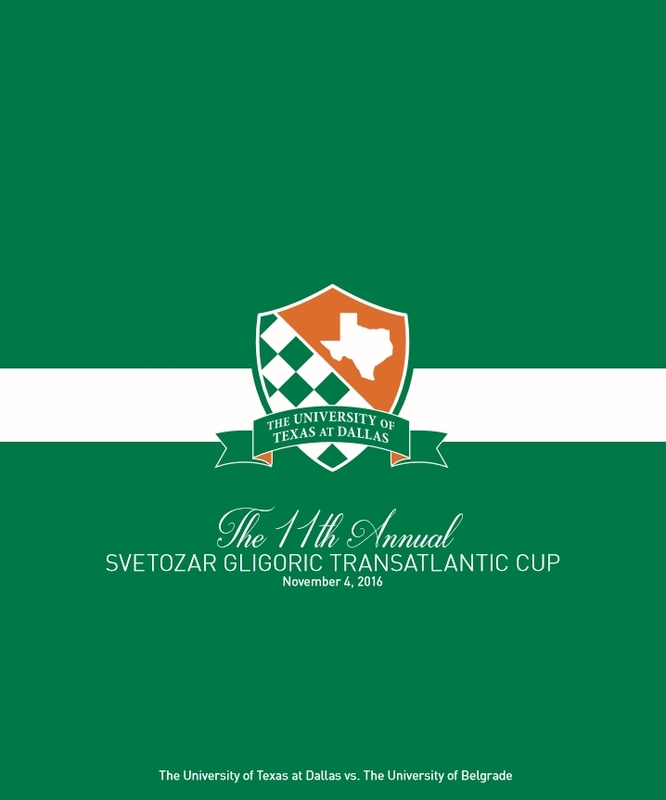 The eleventh international match between The University of Texas at Dallas in the United States and the University of Belgrade in Serbia takes place Friday, 4th November 2016. This match represents the merging of modern technology, ancient strategies, diverse cultural heritages, and the meeting of some of the finest young academic chess-minds of their generation. The 16-board match, featuring many young masters, has become a tradition here on ICC, and will again be played LIVE on our server. Play gets underway on Friday, 4th November 2016 at 2PM (server time - EST). 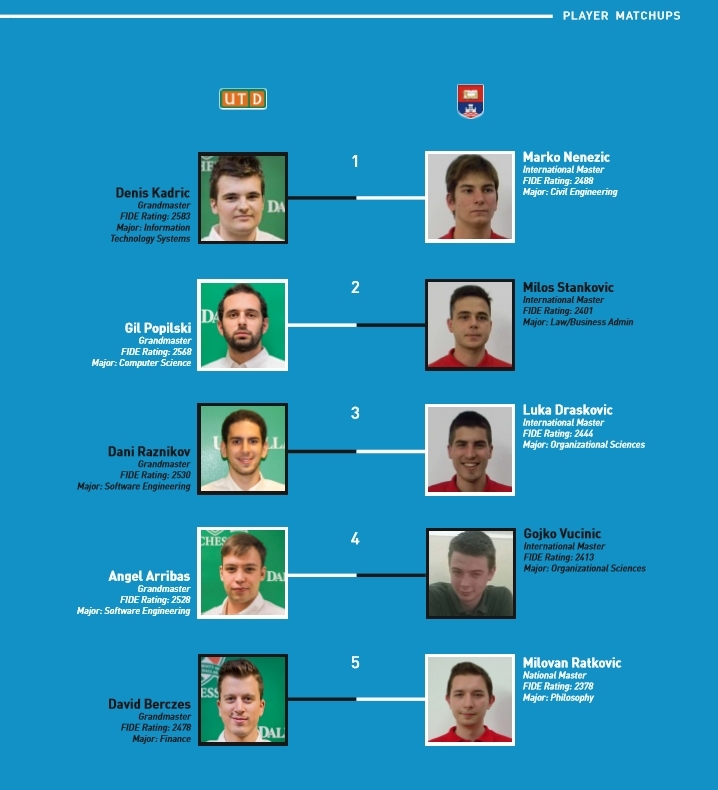 For further information on the full line-up please go to the official program for the match in pdf.